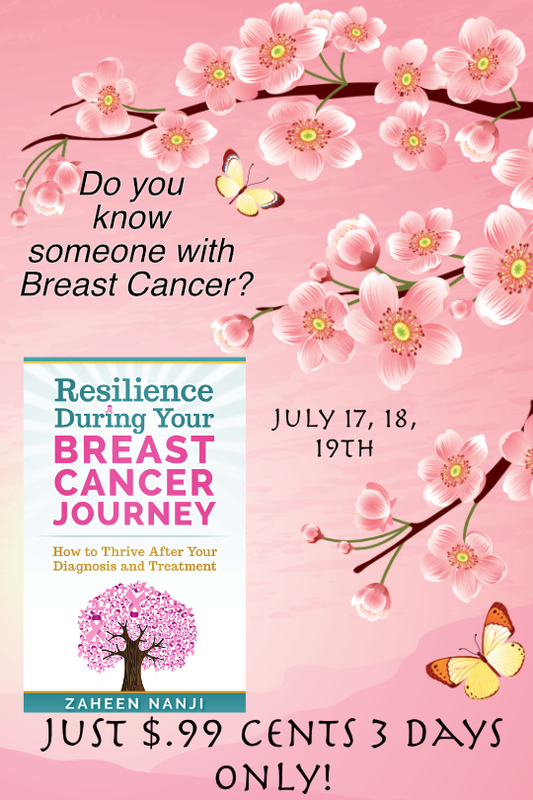 Resilience During Your Breast Cancer Journey: How to Thrive After Your Diagnosis and Treatment Kindle Countdown Event Sale! 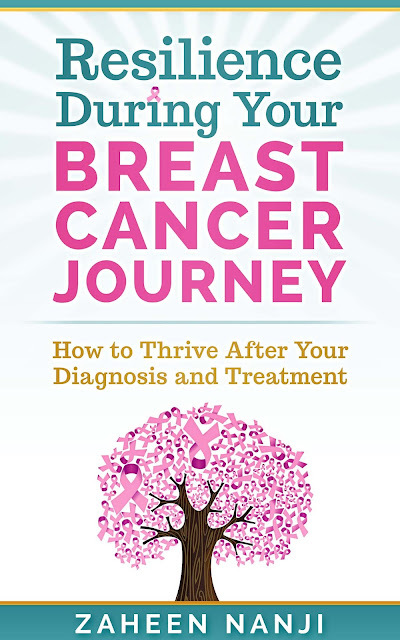 This morning, we have a self help guide for those facing a battle with breast cancer--either as a patient or a support person--in our book spotlight. Check out Resilience During Your Breast Cancer Journey, learn about the author & buy your copy during the Kindle Countdown Event sale for only .99 July 17, 18, and 19th! 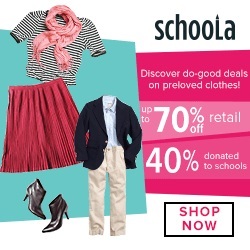 Kindle Countdown Event Sale. 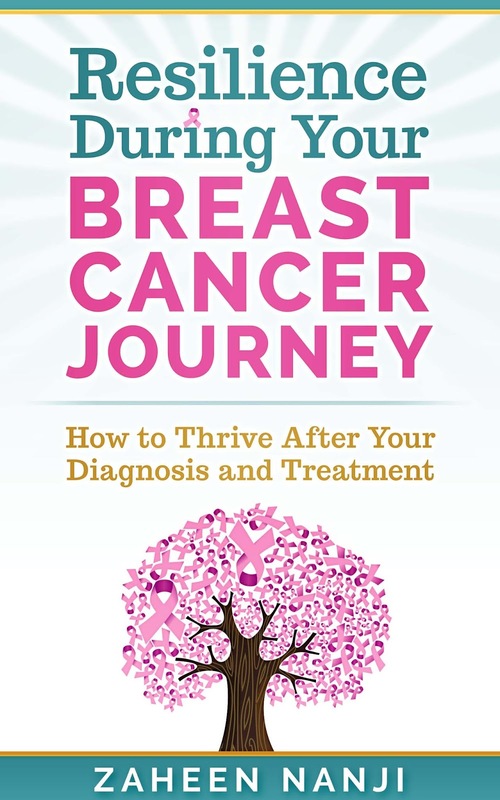 New Release “Resilience During Your Breast Cancer Journey How to Thrive After Your Diagnosis and Treatment.’ Just .99 cents on Amazon! “You have breast cancer”. There’s NOTHING that can prepare anyone in this world for this sentence. Having heard this exact phrase or some variation of it, you already know how soul crushing and devastating it can be. It feels like the entire world is crumbling around you, you’re losing hope and the will to live. But it doesn’t have to be this way. We’re living in the 21st century which means you don’t have to take your breast cancer journey alone. In fact, you can thrive through breast cancer and emerge a survivor. Every woman handles their breast cancer news differently but we all share the same capacity for hope, improvement and inner strength. You now have two options; either to let go and give in to despair…OR pick up this book, allow hope to be rekindled inside you, fight and emerge triumphant. 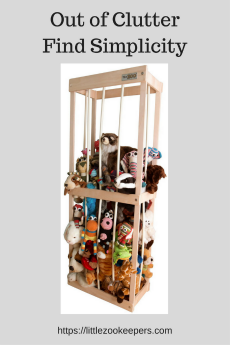 Just .99 cents on Amazon.com! Just an opportunity to learn! Zaheen Nanji is a bestselling author, professional speaker, breast cancer survivor and a director of a successful health and wellness business. Embracing change and fear is Zaheen’s trademark because she overcame her speech impediment, embraced her journey with breast cancer and learned to live in a new country, at the age of 15, without her parents. I knew my hair was going to fall out some day, but I was sad to see it go. To have tenacity, you have to be flexible. To have long-term perspective, you have to be flexible. To have a positive attitude, you have to be flexible. Being flexible means, you can modify your behaviour and recognize that it’s better to change YOU or your tactics instead of spending your time lamenting about your problems. Life throws us curveballs, but why is it then when we are told we have cancer and its treatable, we still feel like our life has come to an end and everything that is happening to us is not fair. 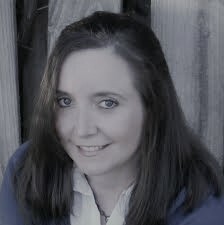 When my surgeon told me that breast cancer is 80% curable, depending on the stage of cancer, I hung on to those words like a person being thrown a line when they feel they are drowning. I’m not sure why, but I reminded myself of those words every time someone told me how sorry they were that I had breast cancer. I reminded them that its curable and I wasn’t going anywhere.